Before I start, let me just say that I haven’t seen the Peabody's Improbable History cartoons, so I can’t really compare them. Good news is that you don’t have to see the cartoons to see the movie. 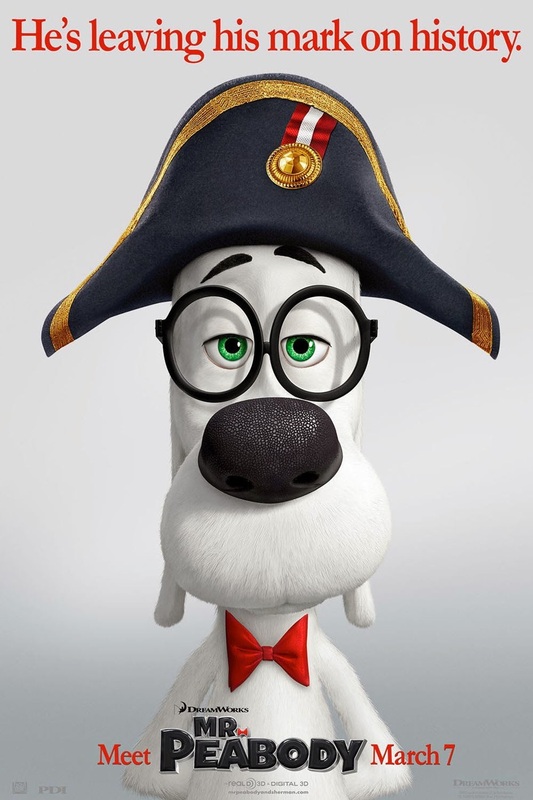 Basically Mr. Peabody (Ty Burrell) is a dog and nobel prize winning scientist, his greatest invention is the WABAC Machine and his biggest challenge is raising a human kid, Sherman (Max Charles).